Still deciding what to wear!! If you are soon-to-be-bride, then market is flooded with collections and ideas for you lucky girl. 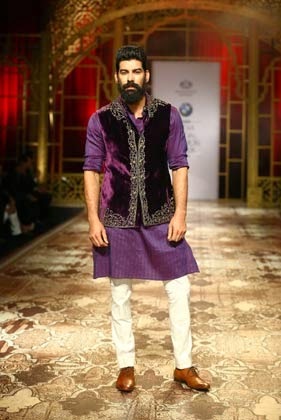 But if you are soon-to-be-groom, then I would say you have limited options in markets. Earlier, boys were not much into shopping for marriage and all. But today, they are also conscious about what they wear and how they look on their d-day. 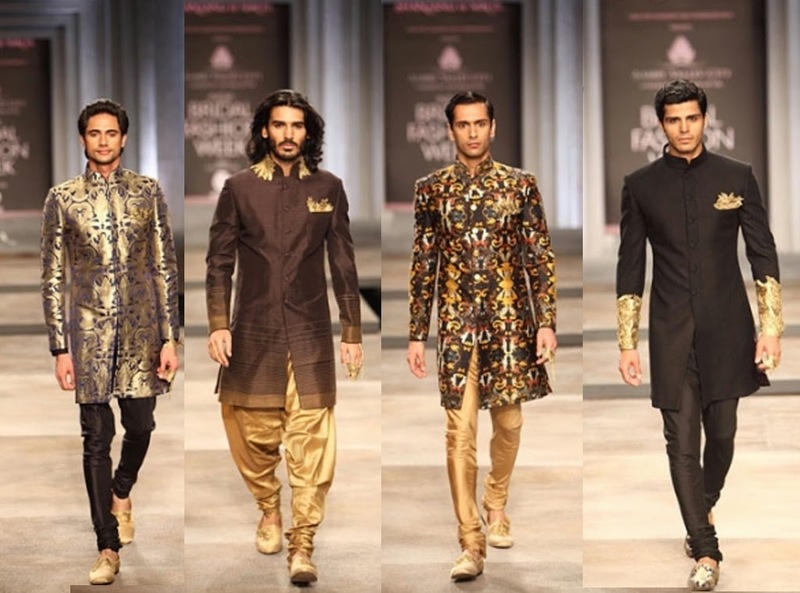 Boys these days are not leaving any stone unturned to be and look their best, be it regarding their clothes or their looks. 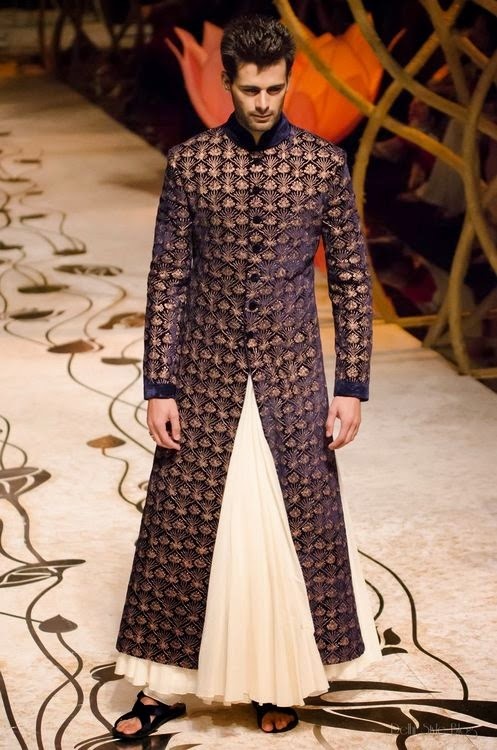 But, there are still some of those bys who are not much into clothing and all and when it comes to clothes for wedding, they only know of coats and sherwanis!! Nothing else!! This post will help out those not so fashion conscious guys. I have compiled some clothing ideas for your special day. 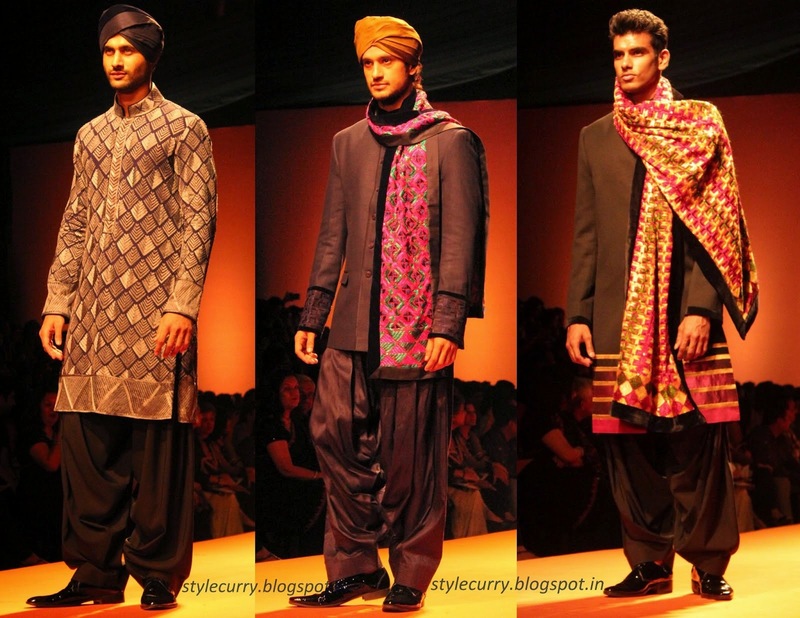 Don’t think that clothing for a boy means only western coats and sherwanis. 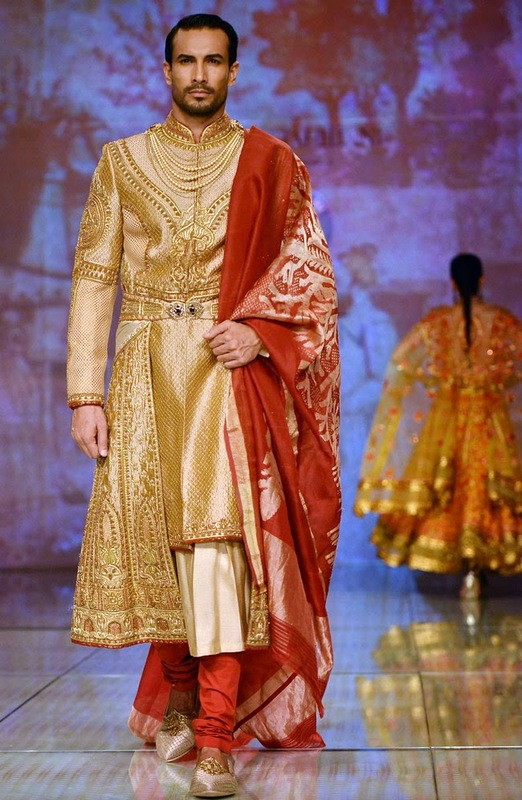 There are many twists and turns in clothing these days which can make you look completely different from the rest and will make you stand out in a crowd, which must be the case if it is your wedding. 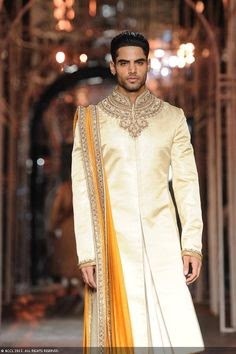 Coming to normal clothes, there are many options for you to choose from like western wear, coats, tuxedo, some indo-western teaming up short achkans with dhotis or harem pants or with slim-fit trousers and then coming to traditional costumes, you have choices like our own sherwanis which can be worn with churidars or dhotis. the list doesn’t end here. Since, you also have 3-4 functions normally and you should look different yet the BEST on all of them, do choose wisely what to wear. Do discuss with your wifey-to-be so that you can compliment each other. Matching colors or matching attire era will look interesting and will give a feel of your complimenting each other. 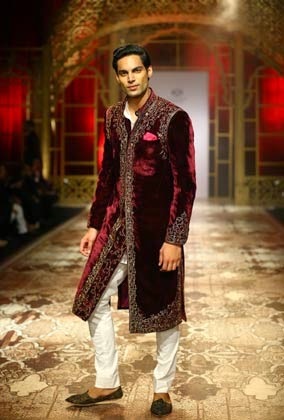 My girlies who are soon going to tie the knots can also check these latest trends for for their soon-to-be-grooms ;). I hope you liked the designs and the patterns. Do share your love and your likings and any other ideas if you have. I would be happy to include them too :). Very stylish, each a stand out in the beautiful colours. Wow, tough choice! Great ideas. And congratulation! Every picture is beautiful, Charu and congratulations on your upcoming big day! Wow these are really amazing! Lovely collections! This was a fab post…so many times we forget about the groom. I totally enjoyed this post. Amazing collelction, thx for sharing. Awesome collection!! 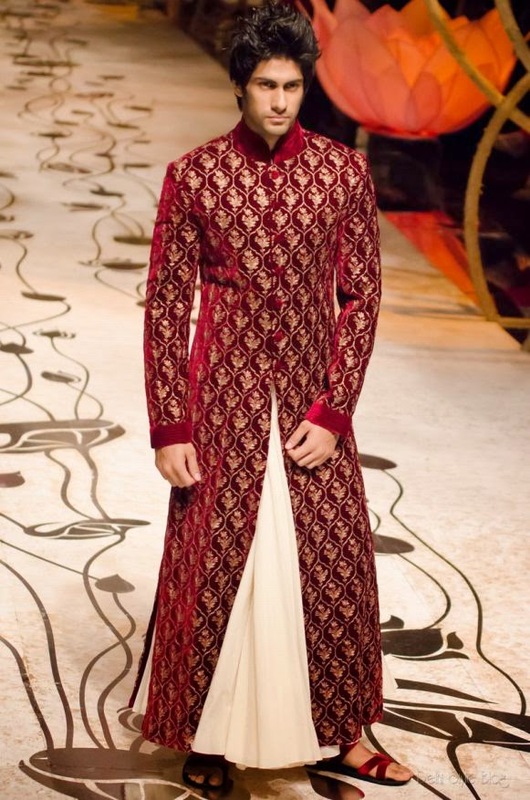 Sherwanis are very popular wedding dress among Indian men for special occasions like marriages, festivals and engagements because their comfort ability and simple looks make them the best dress.